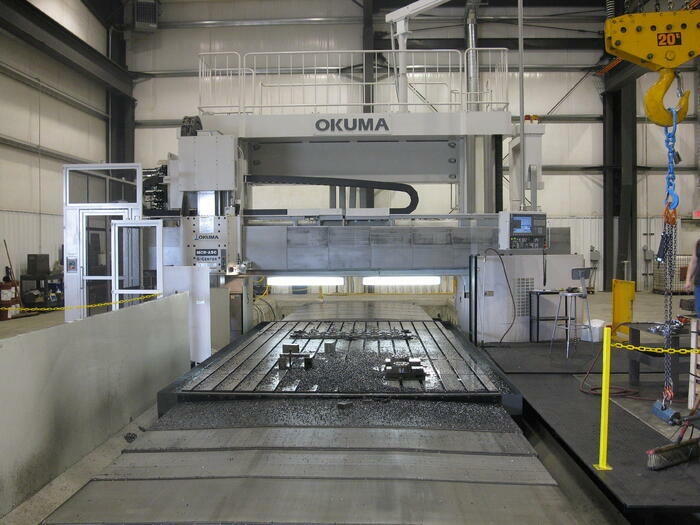 Our five-face machining center is one of the largest in the upper midwest, offering over 80,000 pounds of table capacity. Two overhead 20-ton hoists allow for 40-ton lifting power over the machine. Learn more about our 5-axis CNC Bridgemill. Talk to a machining specialist today.